Growing up in Catholic Mangalore, the one festival that we didn't really celebrate was the intensely riotous festival of colours, Holi. In India, Holi signifies the arrival of spring and is celebrated by throwing powdered colours at people, as well as buckets full of coloured water. 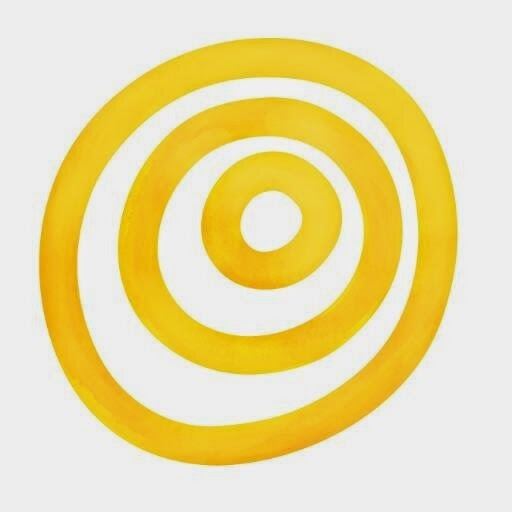 But that changed when I headed to university in Delhi, and for two crazy years, I celebrated Holi with a passion that belied all my Holi-less days growing up. Our university turned into a rainbow as everyone was doused in every shade of colour known to humankind. Holi is also about bhang... click on that word at your own peril :) Bhang is an intoxicating drink made with the leaves and buds of the female marijuana plant, and for one day is pretty much legal all over India. 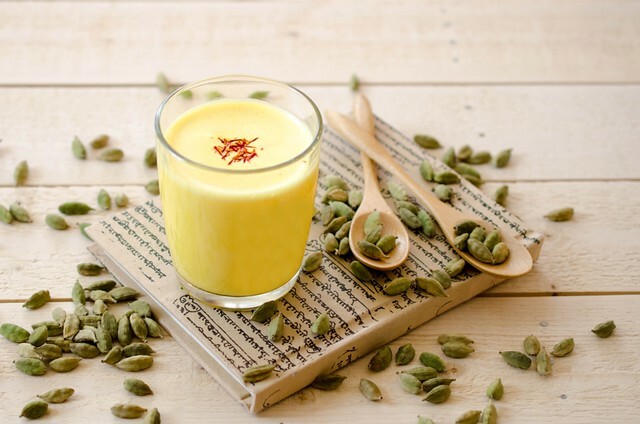 At university, we used to be served 'bhang thandai' (a chilled milk based bhang drink) in our residence mess halls. Obviously, you could choose if you wanted to drink it or not, but to be honest, what self respecting university student, away from home, wouldn't indulge? So we started off with bhang first thing in the morning, steadily getting more and more intoxicated as the day wore on and we all were wearing a plethora of colour. We danced out in the streets with wild abandon, and even the most uptight of people let go of their inhibitions, as everyone embraced the beginning of spring and the bounty it brings. Technically we still had classes, but seeing as most of the lecturers were down with the students, I can only assume not much teaching or learning happened. Sadly, as I am not so much in with the East Indian population here in Edmonton, I didn't manage to find an, ahem! bhang party to attend this year... to be honest, I would imagine most people celebrated quietly indoors anyway, owing to the freezing temperatures :) So this year, my Holi has been spent vicariously enjoying all the pictures that my friends in India, and some abroad, have been posting on their Facebook timelines! And missing the bhang warmth and colours of India. So instead I made this other delicious drink, one that is made all the time in India, but especially during Holi. 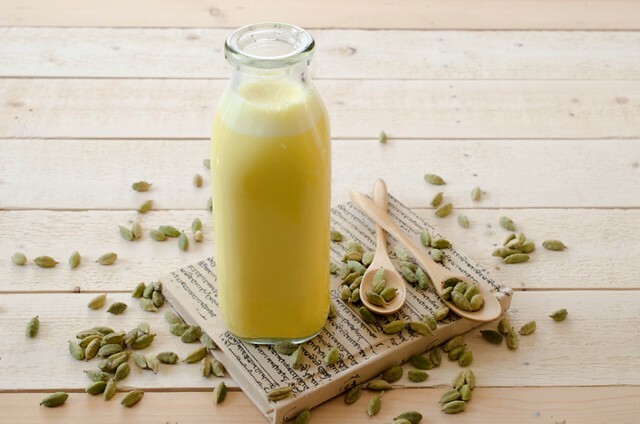 Badam milk, or Indian spiced almond milk is a classic Indian street drink, and is a godsend during the hot summer months, or indeed, the hot spring months. 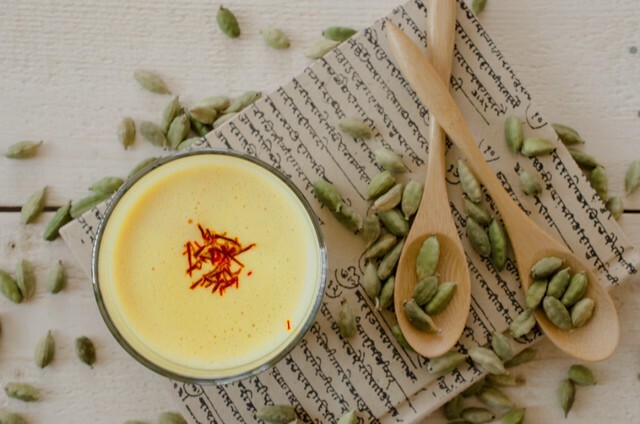 Almonds are soaked and ground to a fine paste with a little milk, sugar, cardamom and rosewater, and if you're feeling extravagant, you can add some saffron too. 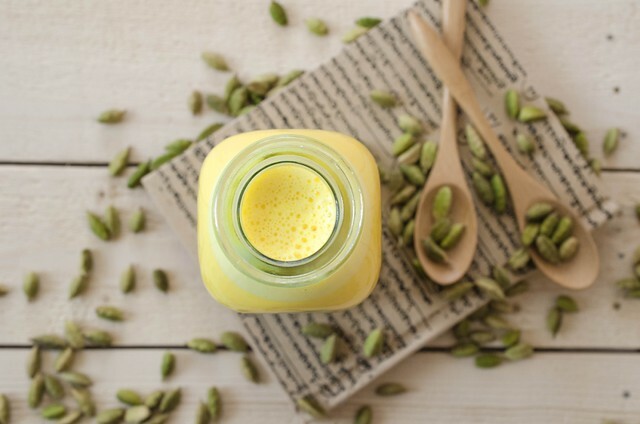 Everybody in India will have their own recipe for this cooling, nutritious drink and I like to keep mine simple with light, unmistakable Indian flavours. Almonds are prized in Indian cooking, and used in a variety of dishes as accompaniments, garnishes or as pastes to enrich classic curries. In our home, we usually got bags of almonds when one of our relatives returned from the Gulf states. They were stored in big plexi boxes, and my mum would soak a handful in a glass of water every night. The next morning, the almond skins would have loosened and she would then laboriously peel them and give my sister and I a couple handfuls each, as they were meant to boost memory and concentration, along with being nutritious too. Me, I don't really have that kind of patience, and besides, peeled almonds are so easy to come by here, that their magic has almost been eclipsed, in a way. That said, when I made and tasted this drink, some of that magic returned, as I was instantly transported back to the hot, dusty streets of Delhi, and the fact that it was Holi, just made it even more special... even though I was far away from home and the vibrant colours that were being flung into the air there! It's real Kashmiri saffron Ansh :) Paid an arm and leg for it, so its very preciously used! Lovely post! As always, I miss India when I see stuff like this... weepy :(.. haha, where did you find that gorgeous milk bottle? What a riotous Holi that must have been..missing everything here in Chennai, from colors to the enthusiasm the festival demands. Beautiful clicks, and lovely color! Awww, thanks so much Kimberley, I love it too... the flavours are so Indian :) Love you guys! I love this drink. So beautifully presented. Now I am tempted to make some for myself! Looks Great. I have to try this one! Oh my.....love the story. You just gave me a whole new look at Holi-days. Looking forward to trying the recipe out but without dairy.